Vegans eat wide variety. 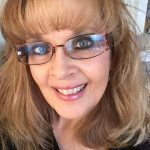 I’ve been vegan for almost a decade. 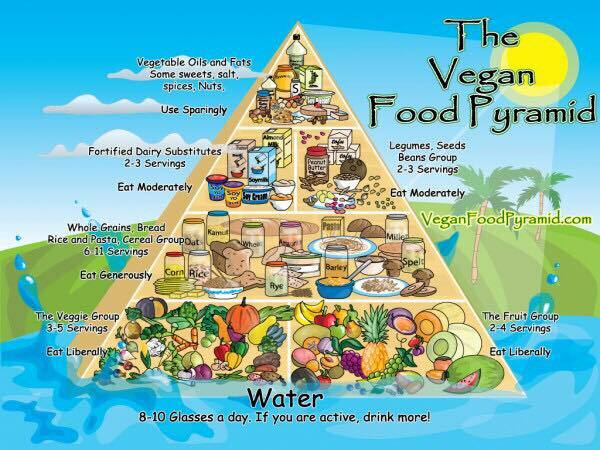 The question I hear over and over again, as I am sure every vegan hears, is “well, what DO you eat?”. 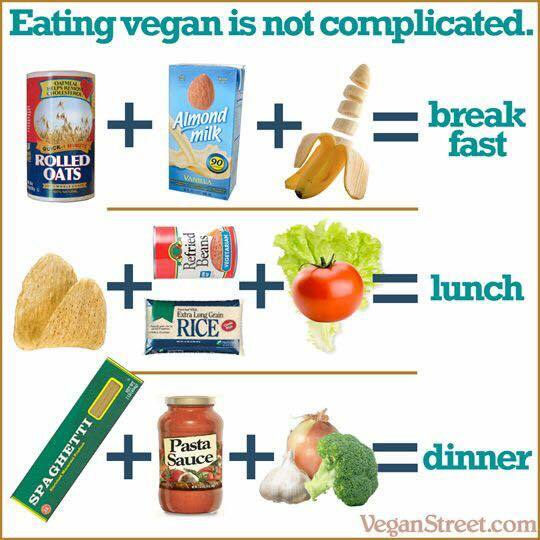 Vegans eat the same food which does not contain animal ingredients that everyone else eats …fruit, vegetables, legumes, nuts, seeds, whole grains, and yes, even junk food! The market is exploding with vegan products! Mock meats, made from plant protein, come in a wide range of styles: burgers, hot dogs, pepperoni, sausage, bacon, ground meat, meatballs, breaded cutlets, deli slices, chickNless nuggets, and more! I used to frequently eat mock meats, but I no longer do because they appear too much like animal products that I don’t want to consume. Dairy alternatives-made from soy, rice, nuts, and seeds-include milks, cheeses, butter, mayonnaise, sour cream, yogurts, and frozen desserts! 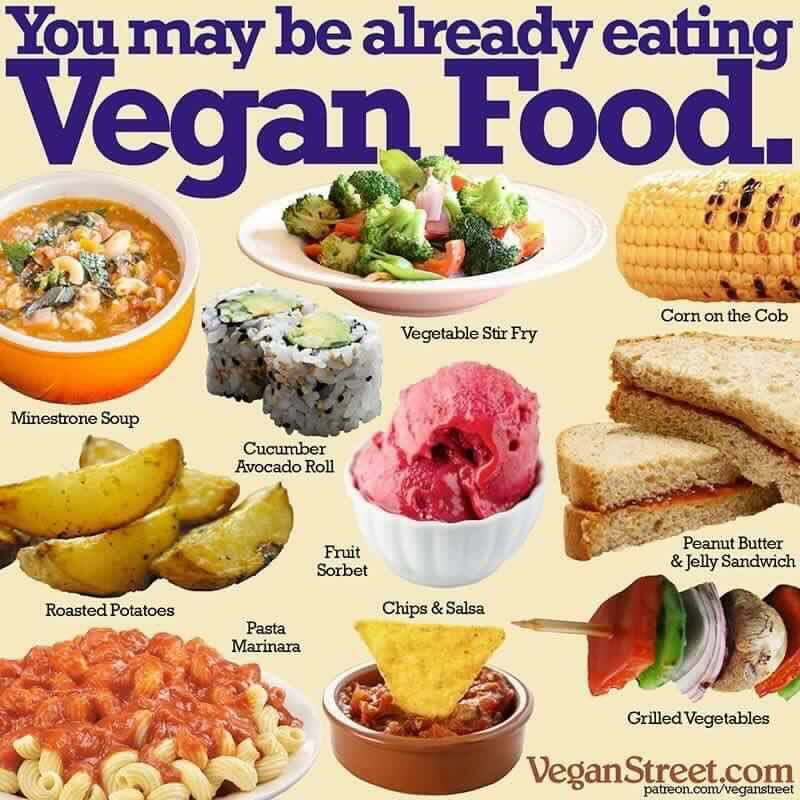 Vegans eat wide selections that can be found at many fast-food chains-such as Denny’s, Little Caesars, Papa John’s, Subway, and Taco Bell-as well as at most Chinese, Indian, Italian, Mexican, Middle Eastern, Thai, and other ethnic restaurants. Don’t be afraid to ask for a dish to be veganized if a menu’s vegan options appear to be limited to a house salad or steamed vegetable plate. More and more chefs are happy to accommodate vegans. Pizza can be loaded with veggies and either omit the cheese or substitute with vegan cheeses. Burritos and tacos are great chocked full of rice, beans, and fresh or sautéed vegetables. Use marinara sauce on pasta and toss in some veggies! Tofu is a great alternative to meat in dishes, as it takes on the flavors of the spices and food it is cooked in. Just experiment and have fun! Please see our Recipe Section for meal ideas! Vegans eat abundantly!